Running a farming operation in North Carolina takes a lot of hard work. Ormond Energy is prepared to work just as hard to help farmers and ranchers run their businesses with the top-quality delivery of affordable, efficient farm fuels. Ormond Energy is proud to serve agricultural businesses in our service area with dependable delivery service of premium diesel, gasoline and propane products. These top-quality fuels are critical to keep essential machinery like incinerators, tractors, gators, and more on the move. Our agricultural customers can always expect their fuel deliveries to arrive safely and on schedule. 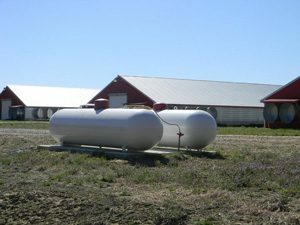 With its reputation for versatility, safety, and affordability, it’s no surprise that farmers across North Carolina choose propane to power their most valuable equipment. Keep your animals warm all year long with super-efficient propane. The fuel can be used to heat piglet houses or other livestock spaces when temperatures drop to frost levels. If you own and operate a chicken farm in North Carolina, you already know how important affordable, reliable heat can be. Use propane space heaters to support healthy development for baby chicks. Local tobacco farmers choose propane gas curing and heating equipment to save time and money from season to season. Propane is proven to be a cost-effective and economical choice for daily operations. 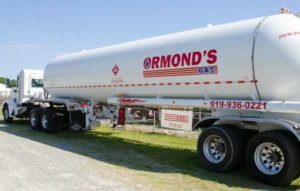 Want to learn more about farm fuel delivery services from Ormond Energy? Contact us to become a customer or schedule your next delivery today!